We will have our legendary annual Lucky Bag sale on January 1st. This is a tradition that we brought over from Japan. You choose your theme (gi, no gi, or street), select your size, and we stuff a bag with surprise goodies for you. Our customers LOVE it and the bags sell out every time. We sell from the UK/WORLD store only (this site you are on now) but we happily ship worldwide, every year. 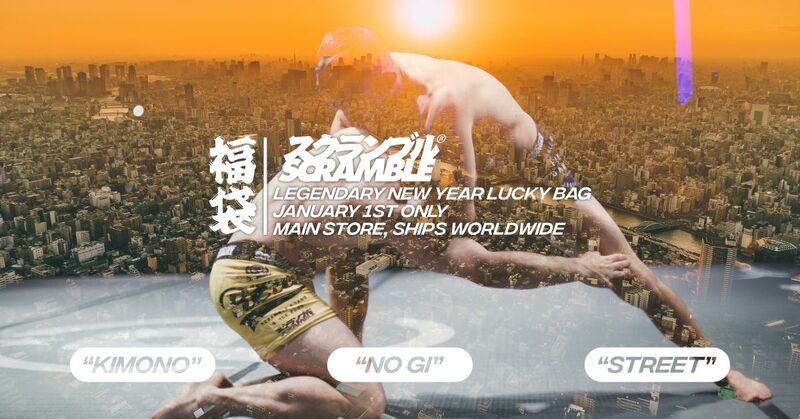 Go HERE for all the details on the Scramble Fukubukuro Lucky Bag Sale. And be on the site at the stroke of midnight on New Years to get shopping!